Merim Bilalić is Professor of Cognitive Psychology at Northumbria University, Newcastle. He received his DPhil in Experimental Psychology from the University of Oxford, and has subsequently held research and teaching positions at Humboldt Universität zu Berlin, Brunel University, Eberhard- Karls-Universität Tübingen, Germany and Universität Klagenfurt, Austria. 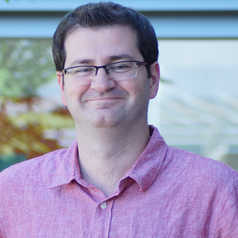 His research on problem-solving biases in experts won the Award for the Outstanding Doctoral Research Contribution to Psychology from the British Psychological Society in 2008. Merim Bilalić research focuses on outstanding performance. He is interested in cognitive processes in experts and their neuronal implementation. The major goal of his research is to find out how knowledge influence cognitive processes and the way the brain accommodates experts' performance. He is also interested in skill acquisition and the individual factors (e.g., intelligence, personality and motivation) that play a role in the process of becoming an expert. His latest book, The Neuroscience of Expertise, was published in 2017 by Cambridge University Press.